Colloidal Silver Gel For Skin Wounds! Loose Skin ~ Toning It! Fibroids can be reduced by consuming at least three servings of whole grains and/or beans daily. Whole grain and beans also protect against breast and endometrial cancer. Eliminating excess estrogen will result in shrinking fibroids. Dandelion, milk thistle, and yellow dock help to metabolize estrogen from the body. Chasteberry tincture is often used successfully to shrink and prevent the return of fibroids. It reduces excess estrogen, balances hormones, and reduces inflammation. However, results often only become apparent after several months of usage. Colloidal Silver for staph infections! 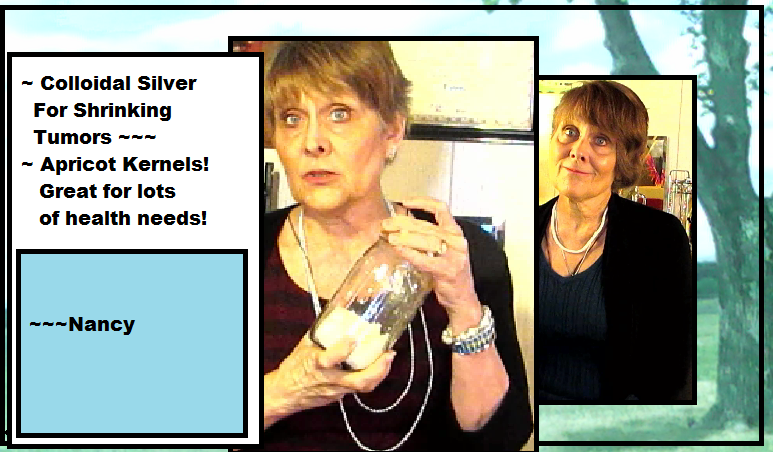 ~~~Nancy ... to my video on Colloidal Silver ~ YouTube!